Emerald: @ 20 years, girl has spent 4 years in prison awaiting trial, accused of phone theft! @ 20 years, girl has spent 4 years in prison awaiting trial, accused of phone theft! 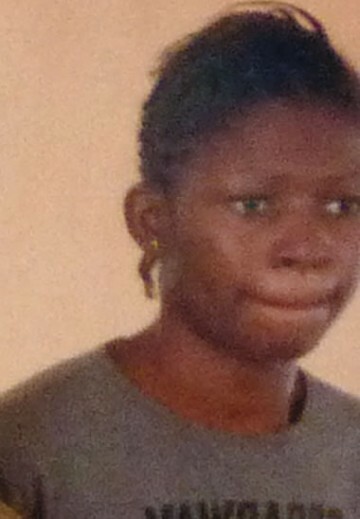 The case of Blessing Effiong, a 20-year-old inmate awaiting trial at the female section of Kirikiri Prisons, Lagos, perhaps typifies the injustice suffered by the poor in the Nigerian society. The Akwa-Ibom indigene, who was interviewed by the Attorney-General of the state, Mr. Ade Ipaye, and representatives of the Office of the Public Defender, during a visit to the prisons to evaluate the number of awaiting trial persons there, narrated in detail how she had been incarcerated since the age of 16 because she could not afford the services of a lawyer. She said, "In 2008, I bought a Starcomms phone for N10,000 in order to start a business centre. A few days later, a man called me and said the phone was stolen from him. I told the man I didn't know it was stolen. We had an agreement that I should return the phone and he would refund my money. "I gave the man my address but when he got to my place, he said the phone was stolen from him along with his laptop and some other vital documents. He accused me of being a thief, called the police and had me arrested. I was charged with robbery and have been in Kirikiri since then as my trial has yet to begin." Effiong said she was arrested at her guardian's house in Ebute-Meta but was transferred to the Agboju Police Division from where she was taken to an Ikeja Magistrate's Court. "I told the IPO that I was only 16 years old and that I knew nothing about the stolen phone but the IPO wrote 21 on my statement and claimed I was lying about my age. I was arraigned as an adult," she said. Effiong added that even after four years, her trial had not begun as the court was said to be awaiting advice from the Director of Public Prosecutions.